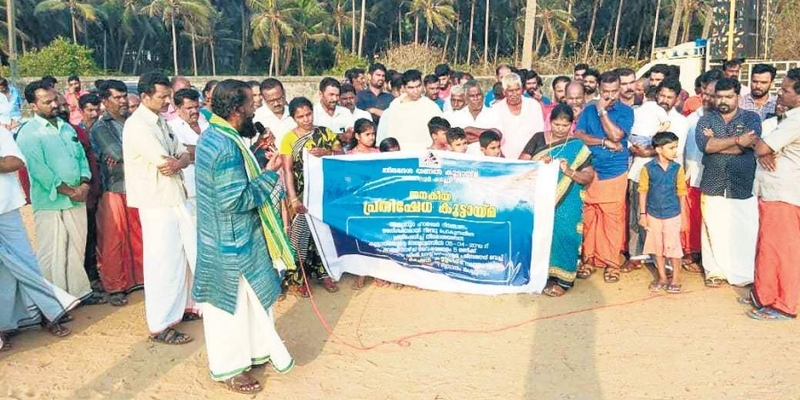 Kasaragod, Apr 15: In protest against the authorities’ refusal to heed their 12-year-old demand for a fishing harbour, the fisherfolk of the coastal area of Ajanur, near Kanhangad, here have decided not to vote in the coming Lok Sabha election. The previous United Democratic Front (UDF) government had sanctioned funds for commissioning a study on the harbour project by the Pune-based Central Water and Power Research Station (CWPRS). The proposal for the harbour is still to take off despite the initial interest shown by the Left Democratic Front (LDF) government under the aegis of Revenue Minister E. Chandrasekharan. “We have been giving memorandums to Ministers, but the response from the authorities has been cold,” said Bindu M., president of the Theeradesha Thanal Koottayma (TTK), a collective of local fisherfolk, which is in the forefront of the demand for election boycott. She said local fishermen could not go to the sea during the windfall fishing season of June-July when the sea is rough since they struggle to navigate their boats in waters close to the shore. A fishing harbour would be a solution to this problem, she added. According to the Ajanur-Chittari Fishing Harbour Action Committee, which spearheads the demand for the harbour, the livelihood of the fisherfolk in the area is affected. As per the TTK, there are around 1,500 fishermen families in Ajanur. Voters among them who were politically impartial were expected to support the boycott call, its representatives said.